This is a book I read when I was still in the university, I loved it and it is one of my favourites. I tremendously enjoyed it. It is a non-fiction, I have actually forgotten how it fell into my hands but I have a copy. It tells the story of a Somalian girl (today an important political figure, feminist, activist and writer) how she survived war, went through female circumcision and other very difficult circumstances. Immigrated to the Netherlands were she sought asylum, worked so hard and transformed into an outstanding intelligent woman who went into politics and fought (still fighting) for the right of women especially in the Islamic religion. This is a book I highly recommend, it tells the story of survival, how nothing evolves into something great. Hi Oscar, welcome to Mary Okeke Reviews Blog. This is one of the books I read some years ago, I own it and it is one my favourite of all time. I am glad you have read it, I highly enjoyed it. I have seen this in the bookstores but never got around it. The premise does sound interesting. thanks for your recommendation. Geosi... you are in my blog list.. I accidentally came across your blog while working on mine.. I like what you do.. and I will definitely read some those books you have on there. This is a book you will enjoy.. maybe different from the ones on your blog.. this is a non-fiction. I promise you it is a book you will enjoy. I read this one a while ago and loved it. 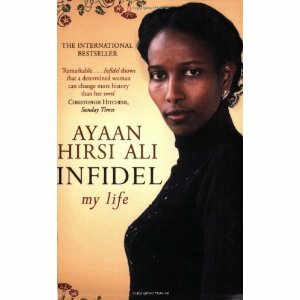 I am currently reading her other book, Nomad. I am almost done with it and would highly recommend it also. I am happy I found your blog. I have read many of the same books and am excited to check out the others you have reviewed. Keep up the good work. Dear Amanda, I am so glad you came across my blog and love it. I have taken note about the book you recommended I have added it to my to read list. Thanks a lot for the comment, I appreciate. This is the first time I'm hearing of this fine author. I would really love to read her books. Thanks for sharing. Afua, I highly... highly recommend you to read this book whenever you can. You would love it!